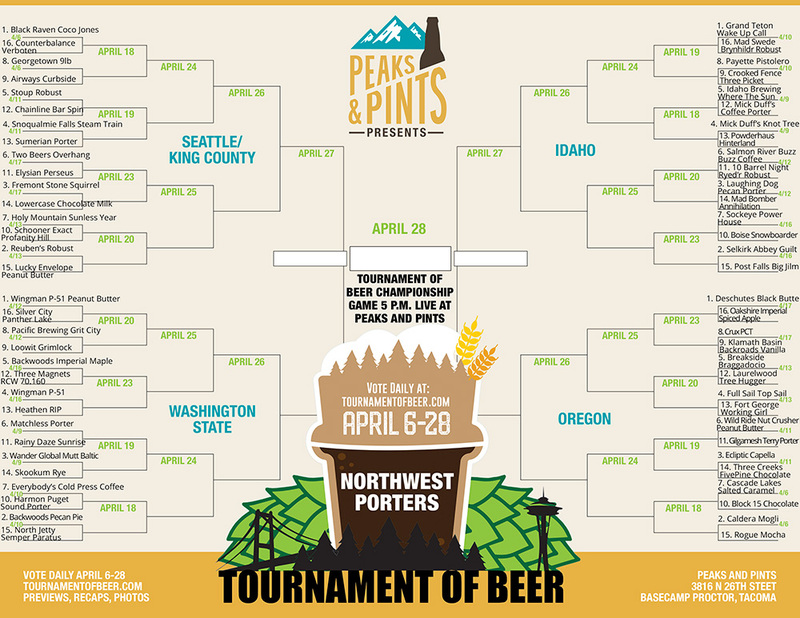 Peaks and Pints has unveiled the official bracket for its Tournament of Beer: Northwest Porters, a voter-based public tournament seeking to crown the best porter from the Pacific Northwest. Patterned after the NCAA Division I Men’s Basketball Tournament, the Tournament of Beer features 64 porters from Washington, Oregon and Idaho, all seeded by public vote March 1-15, and separated into four geographical regions: Seattle/King County, Washington state, Oregon and Idaho with no more than the top two porters per brewery. A couple breweries had two of their porters voted into this year’s Tournament of Beer. These top 64 vote getters — the cream of the malts — will compete Monday through Friday at tournamentofbeer.com, April 6-28. Through online voting, Northwest porter drinkers will pick daily winners until the best porter in the region is crowned. It’s just like March Madness, only with way more Crystal malts. The Tournament of Beer: Northwest Porters grand champion will be announced at the Tournament of Beer Party, April 28, at Peaks and Pints, 3816 N. 26th St., in Tacoma’s Proctor District. The final two porters will battle live pouring from the bottle shop, taproom and restaurant’s Western red cedar tap log with the champion brewery receiving a permanent handle through the spring and summer 2018. 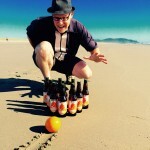 Vote for your favorite Northwest porters at tournamentofbeer.com.